The consortium hosting the programme across the four universities features key partners. Professor Roggenkamp, Senior Lecturer Gordon and Associate Professors Ronne and Banet are all highly respected leading figures of Energy Law. All have written standard works in the field and alongside their heavyweight research credentials, have worked in many capacities – including lawyer, judge and consultant roles. All our Partners have a fundamental belief in keeping a strong contact with the professional field and energy sector in general – at the government and the industry level. All enjoy direct contact with the key legal professionals within the energy sector and have a hotline to the key players, mainly because they are key players themselves. For more information please see participating universities. In 2005 Martha M. Roggenkamp joined the Law Faculty of the University of Groningen as professor of Energy Law. Roggenkamp is an expert in the field of Dutch, European and International Energy Law and the director of the Groningen Centre of Energy Law, as well as co-director of the Groningen Energy and Sustainability Programme (GESP), academic coordinator of the North Sea Energy Law Programme and academic director of the LLM programme in Energy and Climate Law of the University of Groningen. Roggenkamp (Groningen, 1955) has studied Scandinavian Languages and Literature (Norwegian) and Dutch Law at the University of Groningen. From 1986 until 2004 she worked as a researcher at the now defunct International Institute of Energy Law at the University of Leiden. Roggenkamp received her doctorate in 1999 for her dissertation on the legal framework applying to pipelines in the oil and gas industry. Over the years, Roggenkamp has authored and co-authored a vast amount of books, chapters and articles in the field of Energy Law. Some of the key publications she has worked on, include, inter alia, Oil and Gas: Netherlands Law and Practice (1991), Energy Law in Europe – National, EU and International Regulation (2001, 2007, 2016), European Energy Law Report I-X (2004-2014), Regulation of Power Exchanges in Europe (2005), Energy Networks and the Law (2012) and Essential EU Climate Law (2015). Furthermore, Roggenkamp also is the co-founder and chair of the Dutch Energy Law Association (NeVER), editor of the Dutch Journal of Energy Law (Nederlands Tijdschrift voor Energierecht) and member of the editorial board of the Journal of Energy and Natural Resources Law, the International Energy law and Taxation Review and the Renewable Energy Law and Policy Review. Available on the website of the University of Groningen. Available on the website of the University of Aberdeen. In 2014 Catherine Banet joined the Petroleum and Energy Law Department of the Scandinavian Institute of Maritime Law. 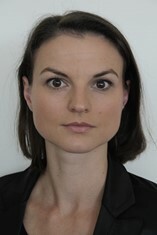 Prior to her appointment as associate professor, she has worked as an associate lawyer at the Oil and Energy Department of Advokatfirmaet Simonsen Vogt Wiig AS from 2011 until 2014, as a Ph.D. research fellow at the Scandinavian Institute of Martime Law from 2006 until 2011 and as an associate lawyer at law firm Huglo-Lepage & Partners (Brussels) between 2004 and 2006. Banet is an expert on energy and petroleum law, environmental law, state aids and the internal energy market and holds a LL.M in International and European Energy and Environmental Law (KUL, Leuven, 2007), a MA in International Politics (Ceris, Paris/Brussels, 2003) and a MA in European Affairs (UCL, Louvain-la-Neuve, 2002), in addition to her Ph.D. Furthermore, Banet is a member of the Nordic Environmental Law Network (NELN), the Energy Law Research Forum (ELRF), the European Law Network of the Faculty of Law, the Academic Advisory Group of the Section on Energy, Environmental and Infrastructure Law (SEERIL) of the International Bar Association (IBA), the expert committee on energy and environmental law of the Norwegian Center for Continuing Legal Education and of the board of the ECOHZ Renewable Energy Foundation (EREF). Available on the website of the University of Oslo. Beatriz Martinez Romera is an Assistant Professor of Environmental and Climate Change Law at the Center for International Law, Conflict and Crisis (CILCC), where she is involved in environmental and climate change research. Specifically, her PhD thesis focused on the regulation of greenhouse gas emissions from international aviation and maritime transport. She has a keen interest in the international climate negotiations, and the regulatory processes at the International Civil Aviation Organization and the International Maritime Organization, as well as the developments at the EU level. Available on the website of the University of Copenhagen.